Suspicious Activity Report (SAR) narratives can be one of the more problematic areas of BSA compliance. However, not only are SARs an important tool for government authorities to help fight criminal financial activity, they frequently trip up financial institutions in examinations, leading to potentially costly fines and an adverse impact on their reputations, which is why it is crucial to make your SAR narrative as thorough as possible. 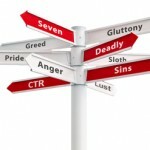 Is Your Institution Guilty of These 7 Deadly CTR Sins? Wrath. Greed. Sloth. Pride. Lust. Envy. Gluttony. 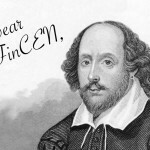 They’re often referred to as “capital vices” due to their tendency to lead to other sins. 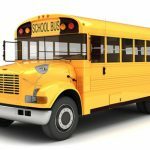 While financial institutions deal more with money than with morals, there are several mistakes with currency transaction reports that can reflect unfavorably on your entire BSA program. 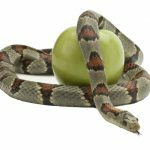 Though CTRs may sound easy in theory, in the real world they can quickly become confusing, and it is important to correct these mistakes before they lead to larger issues. This week we’re throwing it back to our most popular blog post from last year. SARs are tricky things, but AffirmX Analyst Rachel Osborn has broken down the essential elements of a SAR into a step-by-step process in this timeless post. Our most popular blog post of last year was about writing a knockout SAR narrative (you can find part one here and part two here). 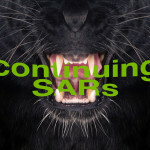 But when reviewing suspicious activity reports, we’ve noticed a large number of issues associated with those troublesome beasts known as continuing SARs. As such, it seems that a guide to writing a knockout continuing SAR narrative is judicious.